Experimental Sound Art is a ten week evening course I teach at the Mary Ward Centre, an adult education centre in London. It runs every Wednesday evening from 6:30 to 8:30pm near Holborn, from Wedensday 8th October. 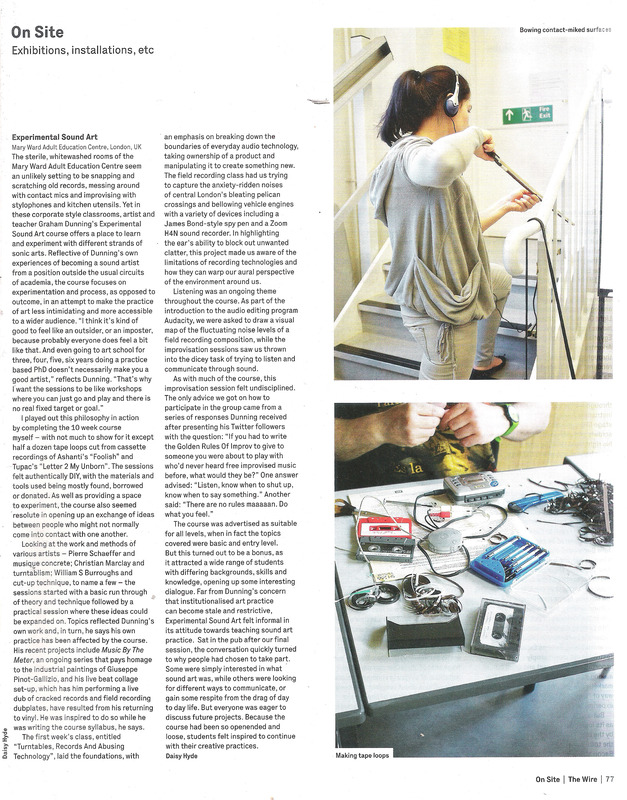 Click the image (left) for a review of the course in the current Wire magazine, written by Daisy Hyde who attended the course last term. Further info about the course and full details of how to enrol are on the Mary Ward website, here.